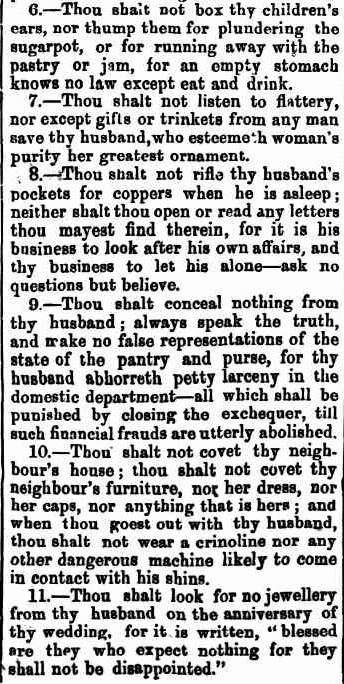 Trove Tuesday this week comes from the Bunyip of Gawler, dated May 11, 1872. 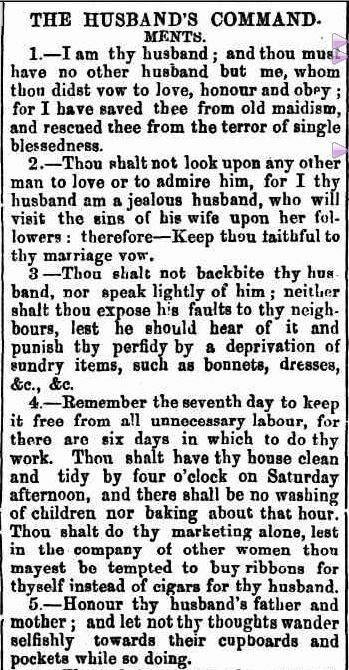 Next Trove Tuesday I will share some variations of the Husband’s Commandments that ran at different times up until the 1950s. Wives got their own back too. Surely…You sort of don’t expect satire that long ago. I think it was the stern photos that did it. Oh, Merron, this is gold! I laughed out loud (and since I’m at work I had to share it with my colleagues). Excellent find! Thanks Amy. 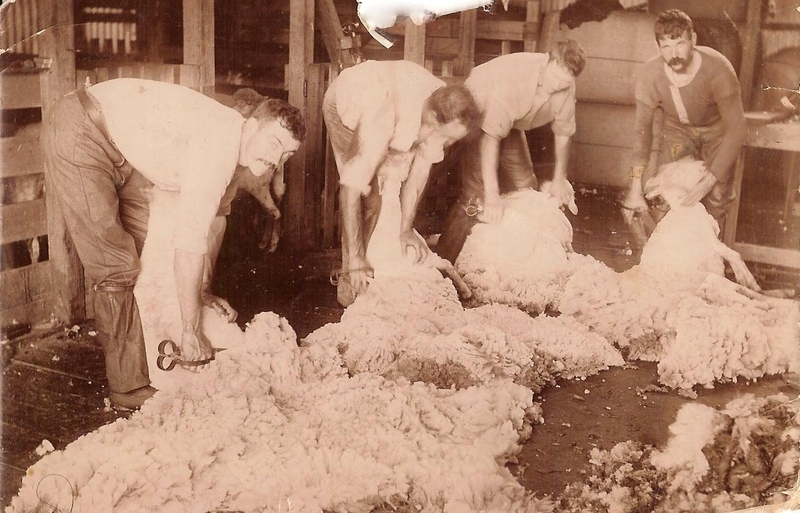 It is good and thanks to you we have Trove Tuesday to share little gems like this. I’ll have some more next week to share.